Mytton's shtick is to morph two photos with each other and then just declare "clearly they are the same person". Then morph two other photos with each other and then just declare "clearly they are not the same person". Then claim that his "clear" opinions of the results are "scientific". Keep in mind that every intermediate step in the morph is a completely fabricated image. Nope, even though Oswald has lost some childhood puppy fat, the facial proportions never change. 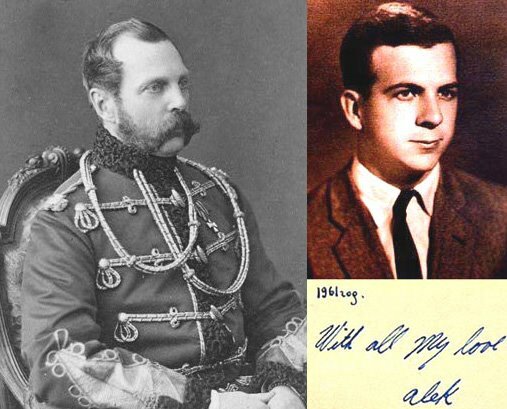 Both Oswalds display the exact same ratios between eyes, nose, ears, chin, forehead and the overall head shape is identical. In the following rotating morph, Oswald's features are all in perfect alignment, proving beyond all doubt they are the same person. Btw next time before you embarrass yourself, PM me and I can point you in the right direction. Congrats Mytton. You have officially joined the ranks of Leroy Blevins. Well I'll just Swanee there Di Vinci. Aren't you clever? Obtain a hint on retouching. So what we had... was a totally incompetent photographer and that shadow just happened to create a perfect line right down the neck. Also, that photograph was retouched and retouched again. Picasso out there? What do you say?...same guys? 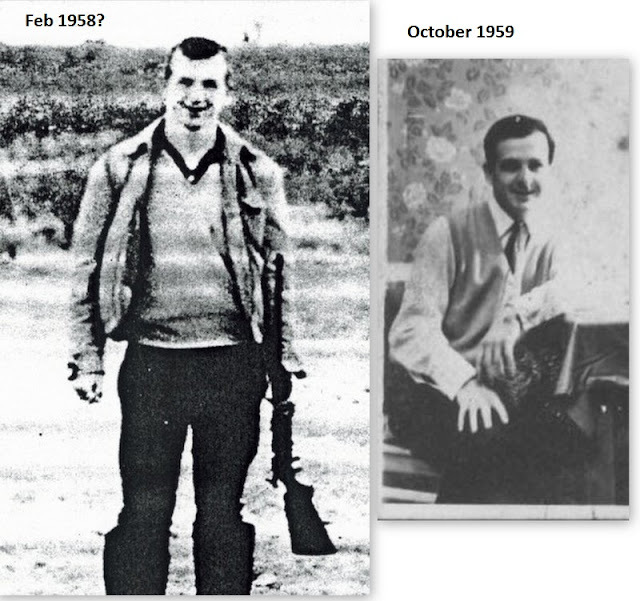 If so, Oswald looked younger in 1961 than he did in 1958. Show us that you know anything about light & shade. And that you even know what I'm talking about. I don't declare anything, the images speak for themselves. In the following two morphs between two very close celebrity lookalikes and the original celebrities, the immediate obvious differences demonstrate just why this form of graphical comparison is so damn effective! Keep in mind that every intermediate step in the morph is a completely fabricated image. The Apple iphone uses the exact same methodology, it takes a depth mapped photo of someone's face and stores this digital data for comparison with a live face, the same information can be unlocked by viewing two images stereoscopically or combined into easier viewing in a morph. Much like a human fingerprint, our unique faces can be broken down into a complex 3D shape and from whatever angle all these individual features in 3D space will always be in the exact same ratio. Take a look again at the various hairlines and the cosmetic looking eyebrows. How can someone know what Chapman is 'talking about' when he doesn't even know himself? What the heck are you looking at, Oswald's dramatically receding hairline at the temple and resulting combover is clear in the arrest photo. Matt, this procedure is based on the same principle as the iphone facial recognition software and is virtually infallible. This is absolute BS and confirms that you know squat about image analysis or facial recognition. Else pls explain how a "fade" effect is based on the same principle as facial recognition. This should be good. Hint: Here's a fade algorithm with 14 lines of code. All fading/morphing algorithms are based on this simple methodology of interleaving images. How many lines of code do you think are required for infallible facial recognition technology? 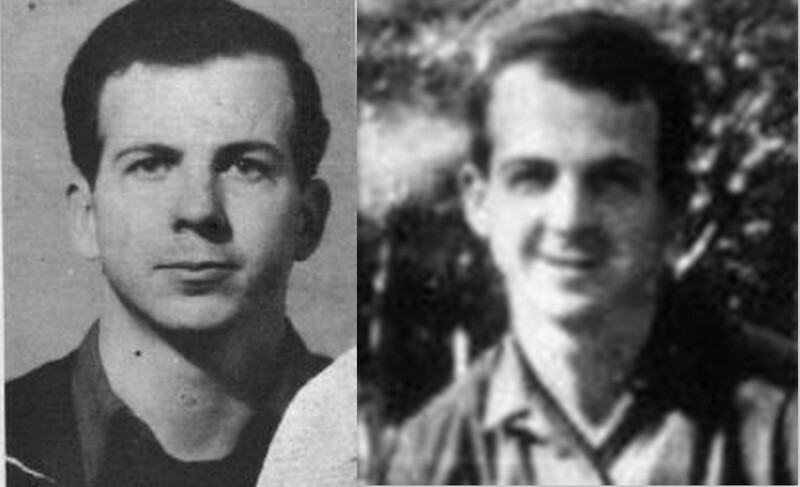 Oswald's left shoulder appears to be further back in space relative to the chest-midline in the 133-B picture than in the 122-A picture. This accounts for the difference in the shoulder width. ... has the 133-B head a bit smaller than the 133-A head, which would in turn make the left shoulder more narrow to the camera. Not saying the animation sizing was intentional, but there's an amount of subjectivity that could induce error. Since the shadow-cast on the facial features in the two photos vary (due to head tilt), the width of the head might be a more accurate thing to align. The code you presented is a simple fade to white, how do you think that is relevant? And please explain how your code applies to your gif which is just swapping one set of RGB values for another?